Hawaii has a turbulent past when it comes to sick leave laws, but that hasn’t stopped lawmakers from introducing another set of sick leave laws in 2017. After several attempts at creating a paid sick leave law, lawmakers are again looking at several paid sick leave laws. Those laws would affect employers in various ways. Yet, Hawaii already has two laws that govern sick leave in the state; The Temporary Disability Insurance Program and the Hawaii Family Leave Law. Currently Hawaii doesn’t have a mandatory sick leave program, except for those found in the requirements under the Temporary Disability Insurance Program (TDI). TDI requires that employers provide a short term disability benefit to employees. In effect, this creates a sick leave benefit. It can be used for both illness and injury. Qualified employees must have worked at least 14 weeks in the last 12 months. It is not required that employees work for the same employer or consecutively to qualify. Additionally, employees must have worked at least 20 hours a week and made $400 a week. Employees must be currently employed to have access to TDI. Hawaiian law allows for employer flexibility, employers can share the cost of the disability program with employees, they can self-insure, and individually structure the plan. Employers only need to obtain approval from the Hawaiian Department of Labor and Industrial Relations. Employees who have a short term illness or injury can get up to 26 weeks of partial pay while they are out of work. The injury can’t be work related, but can include pregnancy, sickness, or other injury obtained outside of the workplace. 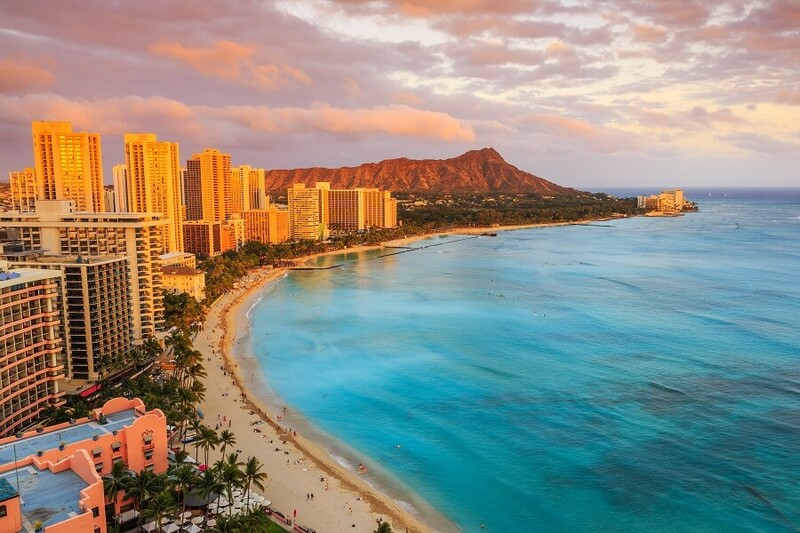 In addition, Hawaii has a Family Leave Law (HFLL). The Family Leave Law has several provisions. First, for employers who offer vacation time, sick leave, or paid time off (PTO), must allow up to 10 days of the time off to be used for purposes listed in the HFLL. Employers who don’t offer vacation or personal days, don’t have to provide paid time off. Secondly, HFFL requires large employers, those with 100 or more employees, to provide up to four weeks of leave. The leave can be paid or unpaid, depending on the benefits provided by the employer. Employees must have worked at least six consecutive months with the same employer previous to the leave to qualify. Yet advocates of paid sick leave have not been happy with the benefits provided by the Temporary Disability Program or the Hawaii Family Leave Law. The most controversial bill proposed came about in 2011. Back in 2011, the state of Hawaii passed a sick leave bill. The bill applied only to businesses with collective bargaining agreements and who had 100 or more employees. It left out all un-unionized employers. Plus, the bill provided up to 3 days of sick leave to employees and eliminated the employer’s ability to discipline employees who abuse sick leave. The bill was taken to court by 21 employers who claimed that it was an illegal bill. In 2012, an Hawaiian Federal Court Judge, Judge Susan Oki Mollway agreed that the bill was illegal on several accounts. The bill went against Federal Law. First, the National Labor Relations Act already governs collective bargaining agreements and requires that sick leave be negotiated as part of the agreement. The Hawaiian sick leave law overrode that Federal law and made union agreements subject to state scrutiny. The employers involved in the lawsuit provided union agreements that had sick leave clauses already negotiated between the employers and the unions. Many of those clauses also allowed the employers to punish employees who were found to abuse sick leave. Another illegal point of the law was that the law discriminated against employers who had union employees. This violated the Equal Protection Clause by having no rationally related reason to isolate union employees, but to exempt other employers. Yet Judge Mallway ruled that union employees have greater protection than their nonunion counterparts so there was no reason to draft legislation to protect union employees specifically. The state could have easily included all employers in the bill, but did not. In 2013, Judge Mollway struck down the entire bill as illegal. Finally, in 2015 the state was ordered to pay back the legal fees to the 21 businesses involved in the lawsuit. The settlement was for more than $683,000. Now, in 2017, several sick leave bills are scheduled for review. The first bills, HB 4, and SB 638 are Paid Sick Leave Bills. These bills would provide sick leave to Hawaiian employees who work at least 680 hours in the state sick leave. Employees would earn 1 hour of paid sick leave for every 30 hours worked. Employees could accrue up to 56 hours of sick leave each year. Another bill, HB 213 would allow employees to take sick leave off for family leave to care for a sibling who was ill or to take time off work in the event of the death of the employee’s child, spouse, parent, sibling, or reciprocal beneficiary. The bill amends allowed reasons under the Hawaii Family Leave Law. HB 678 and SB 516 would allow employees to take both family leave and victim leave when the employee or employee’s child is a victim of domestic violence or sexual assault. Currently, employees must exhaust all of their sick leave before they have access to victim leave. These bills would allow employees access to the 4 weeks of family leave for domestic violence related issues before exhausting the rest of their sick leave benefits. In an amendment to the Hawaii “employee” definitions, HB 966 would redefine employee to include any independent contractor that provides work for at least 6 months to a business. This means that independent contractors would be included in all the employment benefits required by law including the Hawaii Family Leave Law, the Temporary Disability Insurance Plan, and other laws. It would not redefine the definition for Federal Employment Laws, which would create a maze of benefits, some that would and some that would not be applicable to Hawaiian Independent Contractors. Services Workers Paid Leave is up for debate with the bills HB 986, HB 1434, and SB 425. These bills would require paid sick leave to service workers. Leave would be awarded at the rate of 1 hour for 40 hours worked. Employees would earn up to 40 hours of accrued paid sick leave each year. HB 986 and SB 425 would also require mandatory sick leave as a benefit for employees of businesses with 50 or more employees. HB 1434 doesn’t have a size limitation,and specifically includes temporary food service places as well as mobile food services providers. Additionally, the Chamber of Commerce of Hawaii opposes the bill because of the administrative burdens placed on small businesses. It’s a valid concern. Sick leave laws require businesses to keep various types of additional records to show compliance with the new laws. Additional reporting to employees are required by several of the bills. All of this can add up for a small business on a limited budget. In addition, businesses may have to increase timekeeping and payroll software to maintain compliance and to purchase and implement records retention policies that meet the new laws. All of these costs are in addition to the cost of the actual sick leave requirements and the cost of hiring temporary workers while employees are accessing sick leave. Lastly, several of the Hawaiian sick leave laws provide for civil suits from employees who feel wronged, instead of providing a method of resolution. Even for employers who successfully defend themselves in court, the legal costs can be high. Another concern by the Chamber is that several of the bill already overlap or contradict existing Hawaiian law. Currently, these bill have no clarification for how employers should maintain compliance with the existing laws and the proposed laws. This could create a scenario where employers have to choose which law to be compliant with, at the risk of violating other leave laws. Hawaiian employers should keep a close eye on each of this bills to ensure that their Human Resources and Payroll departments are ready to respond to any bills that pass. The earliest bills would become effective on July 1st.